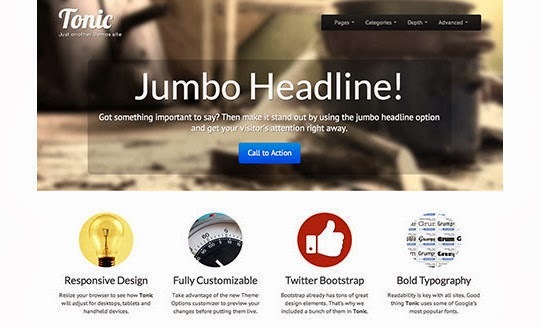 Are you looking for some freebie responsive bootstrap theme? I your answer is yes, then look no further. You have come to the right place. In this round up, we are presenting 18 top and free responsive bootstrap themes, skins as well as resources for you. All of these themes are suitable for WordPress, Joomla or any web projects. In addition, these themes come with unlimited sources that include responsive layout designs that are compatible with all mobile devices, form as well as button managers that drag components into the HTML editor to generate code on the fly.